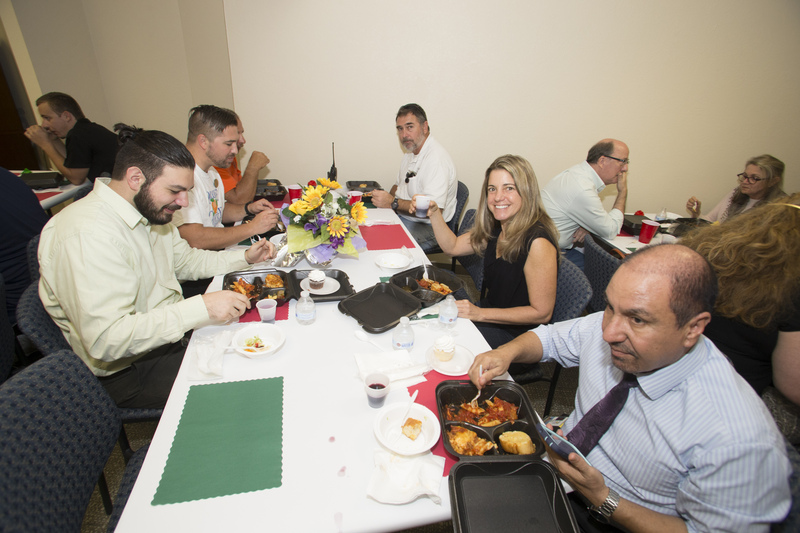 Orange County Mayor Teresa Jacobs recently joined Orange County Public Works for the 8th Annual Pasta with a Purpose, an employee luncheon that benefits the children of Great Oaks Village (GOV). 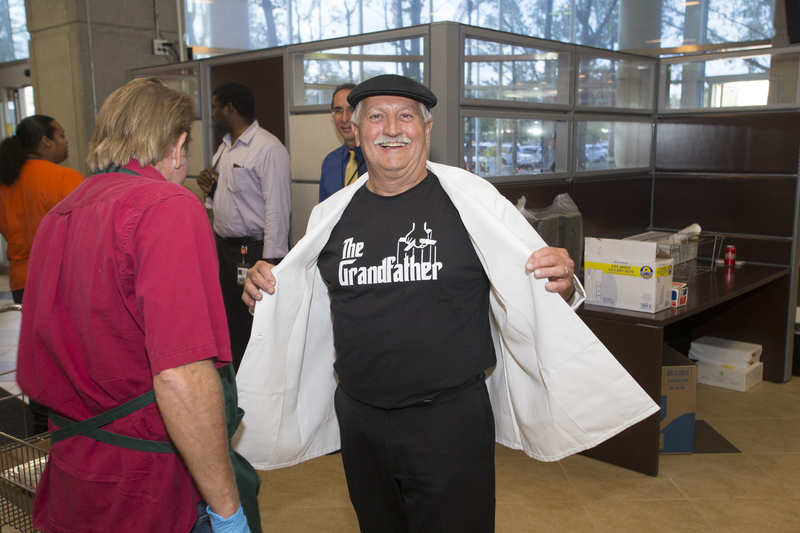 Orange County’s Director of Public Works Mark Massaro oversees the annual fundraising event, which sold out this year with more than 250 attendees. 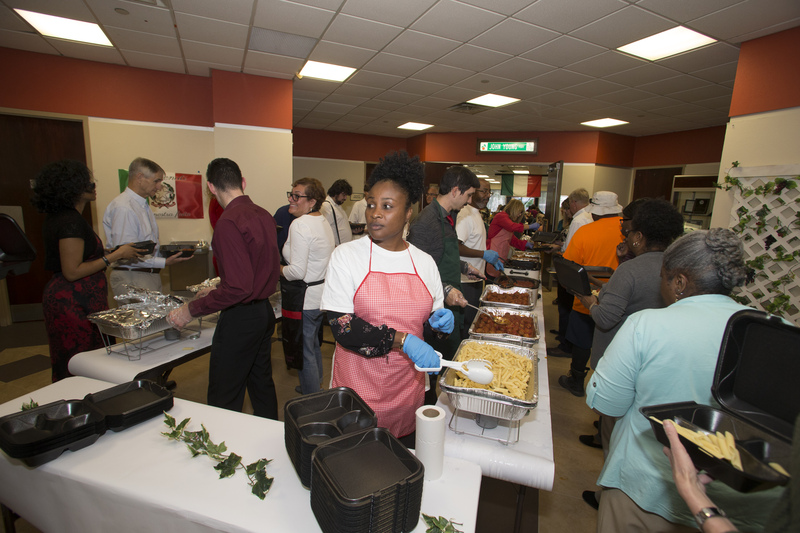 “The event had a wonderful turnout this year. 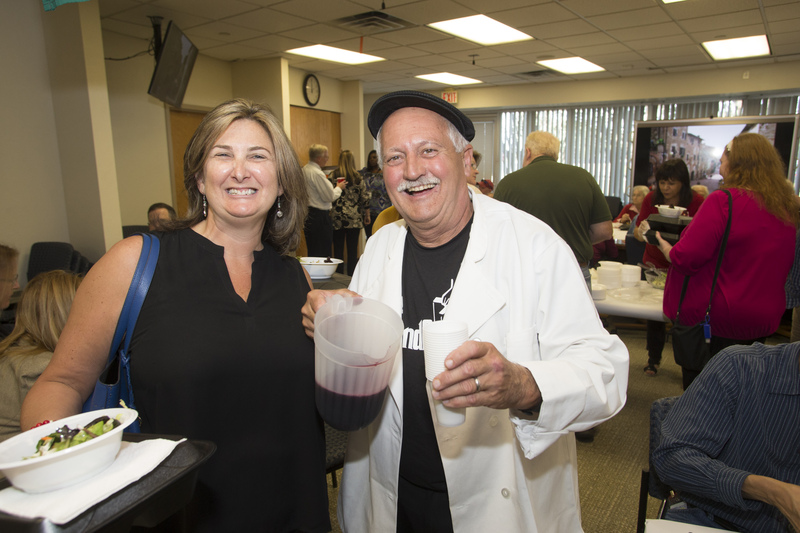 Every time we hold this event it seems like more and more of our colleagues join us in raising funds for the children at Great Oaks Village,” Massaro said. 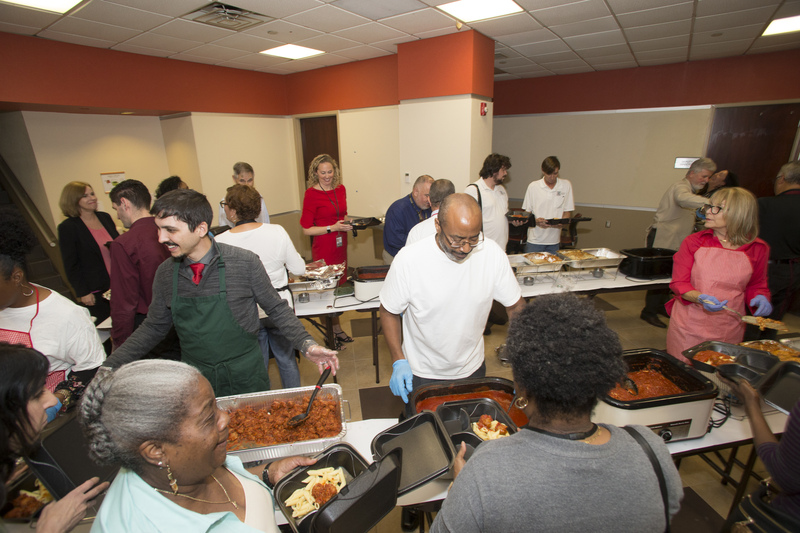 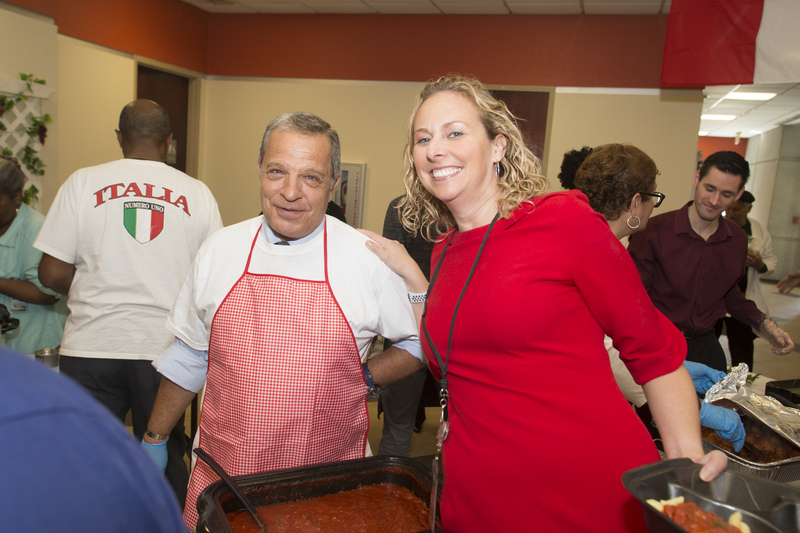 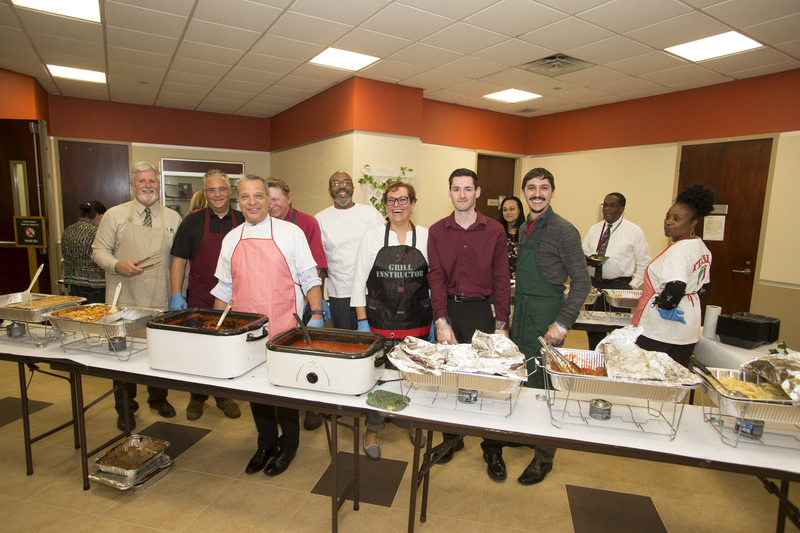 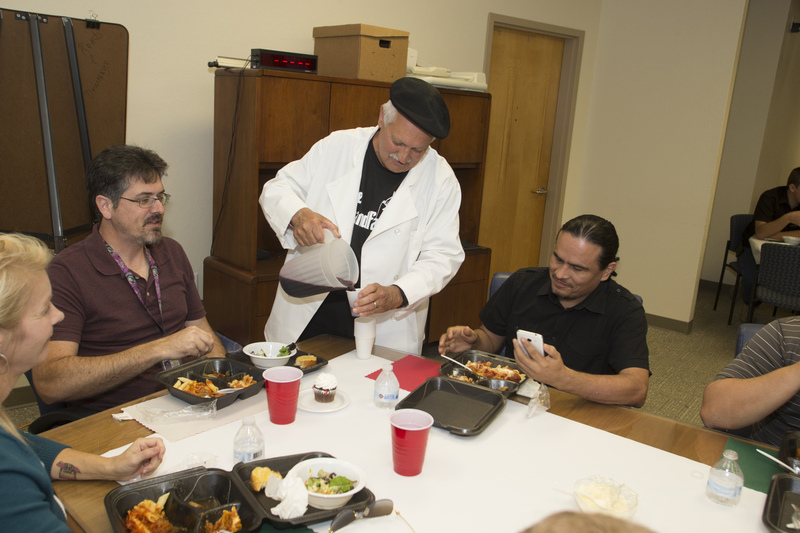 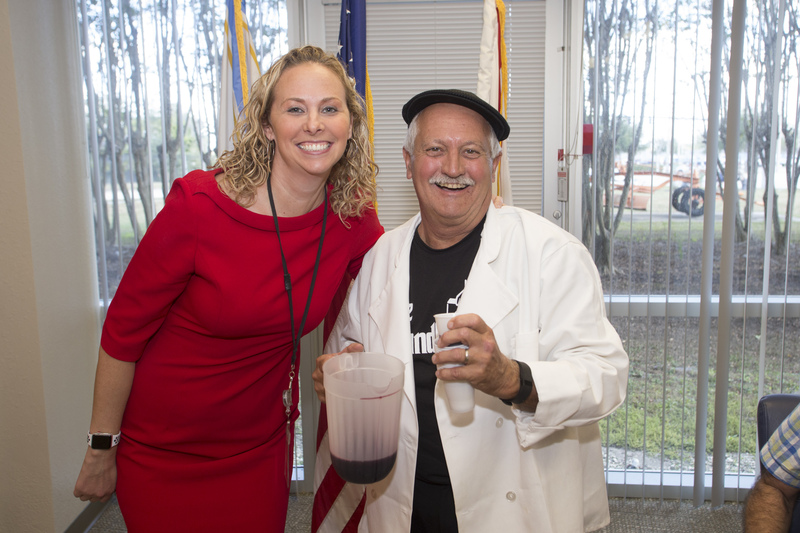 Public Works organizes several different fundraising events for GOV throughout the year – Pasta with a Purpose being the division’s largest fundraising event, raising more than $2600 in 2016. 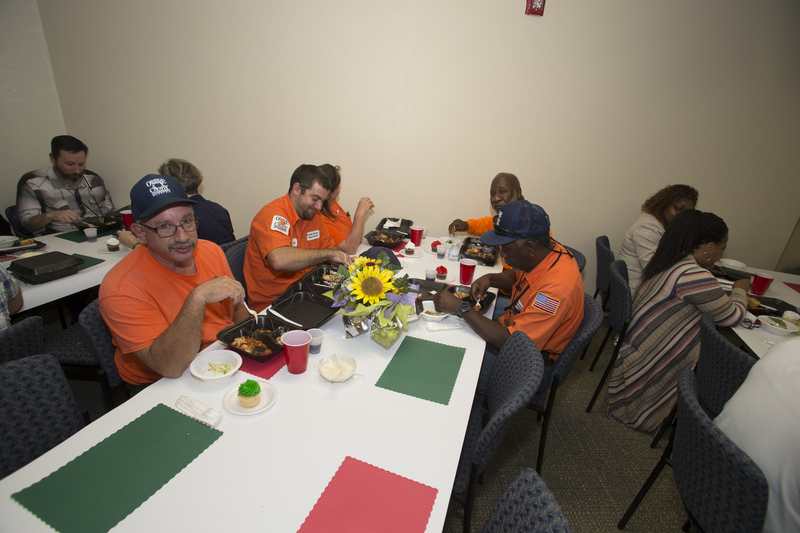 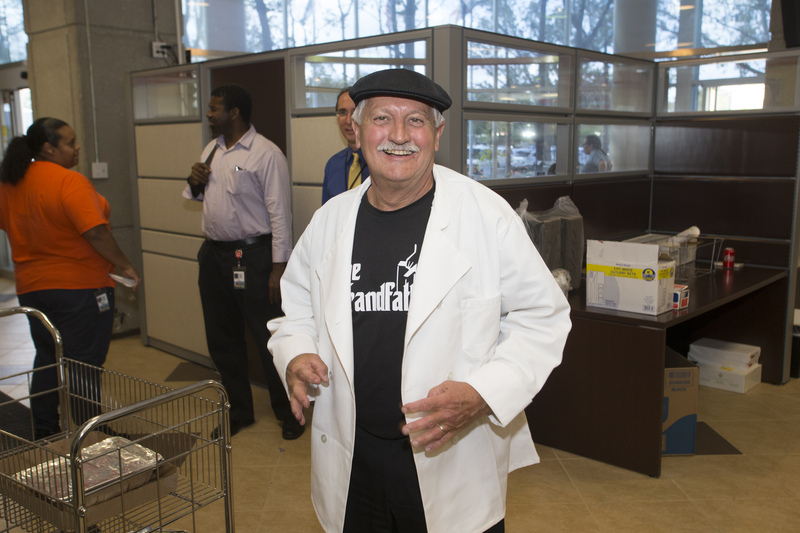 “The holidays at Public Works are not complete until the kids at Great Oaks Village receive our care and attention,” Massaro said. 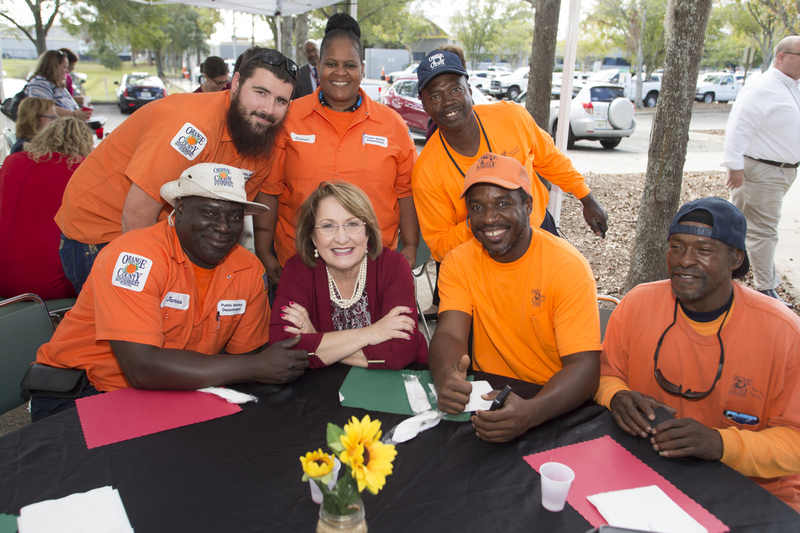 Public Works is composed of more than 500 employees and seven departments including development engineering, public works engineering, highway construction, traffic engineering, road and drainage, storm water management and fiscal and operational support. 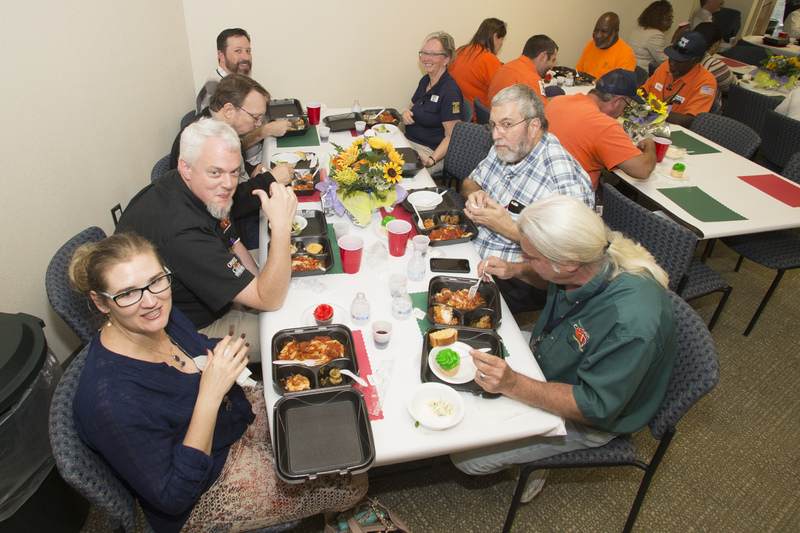 Each of these divisions coordinate their own fundraisers to raise funds for GOV, United Way and other community partners. 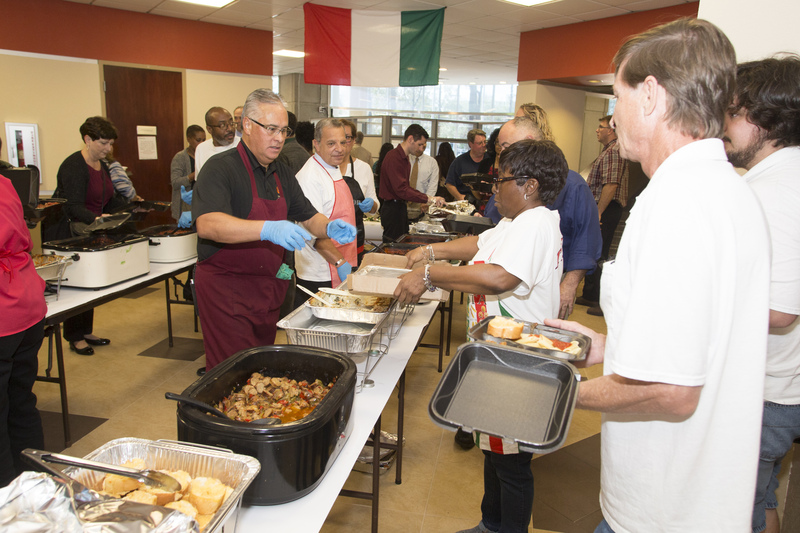 Some of the events from past years include chili cook-offs, dinner and a movie ticket raffles and a yard sale. 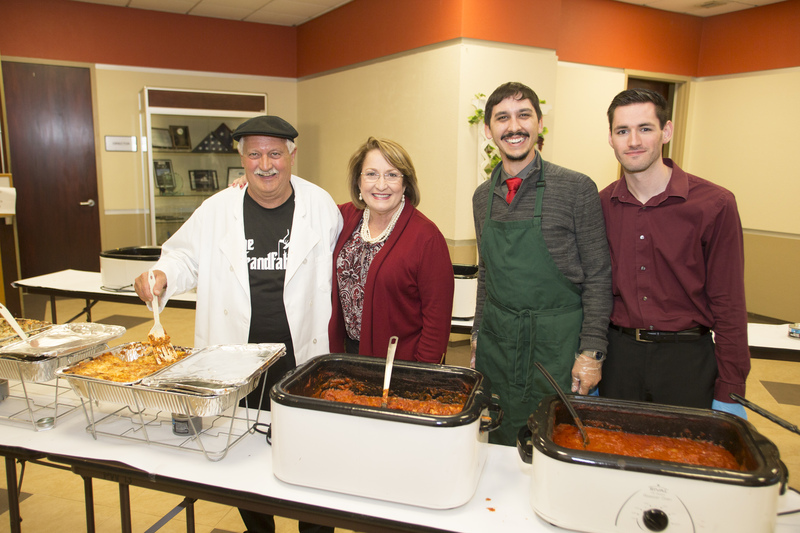 Photo Caption: [L-R] Orange County Public Works Director Mark Massaro, Orange County Mayor Teresa Jacobs, and Fiscal & Operational Support staff Jack Gibson and Johnathon Pantzlaff welcome Orange County employees to the Pasta with a Purpose fundraising luncheon.